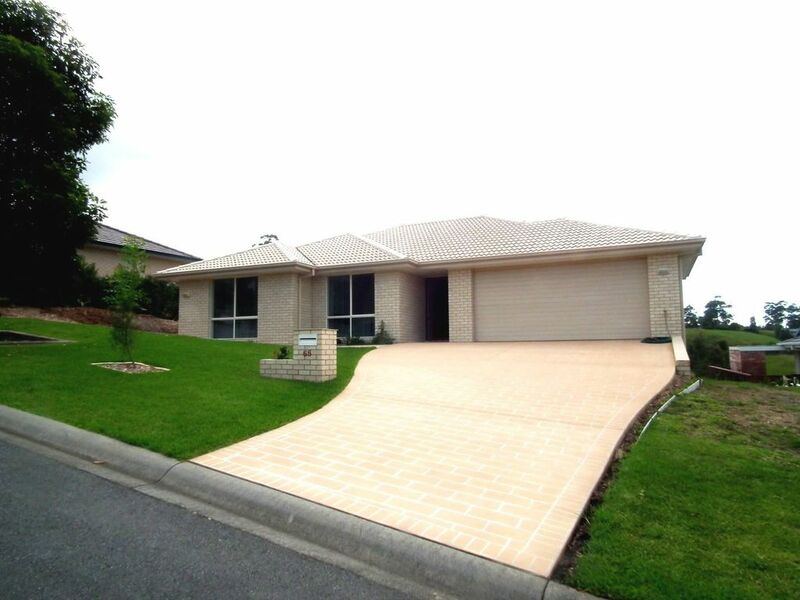 This home has all the features you would ever want in a quality holiday home at Tallwoods. Featuring 3 stunning bedrooms with 2 walk in robes, 2 bathrooms, 2 toilets, & a childrens retreat area with a sofa bed. All 3 bedrooms are of good size and the main bedroom with a super sized ensuite, walk in robe and superb outside views to wake up with. Spectacular golf course frontage & coastline ocean views back to Forster. Large rear yard with golf cart access to the Tallwoods golf course. Large timber entertaining deck to take in the view facing the East . Also featuring a double garage. All this within 5 minutes to the amazing Black Head beach and 15 minutes to Wallis Lake. This home has all the features you would ever want in a quality holiday home at Tallwoods. Featuring 3 stunning bedrooms with 2 walk in robes, 2 bathrooms, 2 toilets, & a childrens retreat area with a sofa bed. All 3 bedrooms are of good size and the main bedroom with a super sized ensuite, walk in robe and superb outside views to wake up with. Spectacular golf course frontage & coastline ocean views back to Forster. Large rear yard with golf cart access to the Tallwoods golf course. Large timber entertaining deck to take in the view facing the East . Also featuring a double garage. All this within 5 minutes to the amazing Black Head beach and 15 minutes to Wallis Lake. Fantastic amenities and space for everyone. Clean and well presented with basic necessities included. A beautiful big deck with ample seating, so peaceful and relaxing. I would love to come back and stay for longer! Fantastic 3 bedroom house, which could actually sleep 10 if required as there is a good size (and looks brand new) pull out spring-base double sofa bed in one of the lounges, and a second lounge which would sleep another one or two on the huge sofas. Well equipped kitchen with Caffitaly pod coffee machine, oversized balcony with good bbq and plenty of seating for 10. Short of nothing really. This was our second visit and I hope to get back there again. 3 couples stayed here over the Easter long weekend. Heaps of room. Beautifully decorated. Massive balcony with great views of the golf course and out to sea. It rained a fair bit over the weekend, but we were happy to just sit and watch it from the balcony... Very deceptive from the front street - looks nothing special, but then when you get inside... definitely has the WOW factor. Would love an excuse to stay here again!